Are you off to Wales for university? 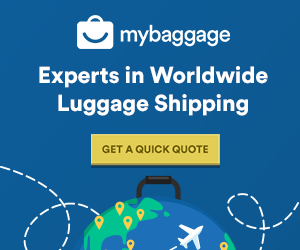 You can send your luggage there quickly and safely with My Baggage! My Baggage is the No.1 student shipping company. We’re experts when it comes to shipping students’ luggage all across the globe, and we can help you get your excess luggage to Wales quickly, safely and for a price that fits a student budget. 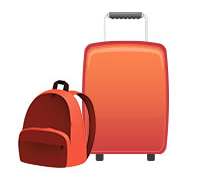 We help over 30,000 students transport their luggage to and from university every single term! Wales is increasingly becoming a very poplar place to study. There is so much to see and do in Wales, from vibrant cities to breath-taking mountains and coastal locations. Wales is home to a number of universities, such as: University Of Wales, Cardiff University, Cardiff Metropolitan University, Bangor University, Swansea University and more. If you have some excess luggage to take with you to university in Wales, My Baggage can help. We offer a convenient and reliable door to door service to save you from all of the hassle. Booking your shipment is easy and takes just a few short moments to complete. Start by getting a quote on our homepage. You’ll need to provide your luggage weight and dimensions, as well as the collection and delivery address details during booking – so be sure to have this information ready. Once you’ve booked, we’ll take care of the rest. Our drivers will collect your luggage from you and deliver it straight to your student accommodation in Wales. Super fast delivery times to and from Wales. SMS and email notifications about your shipment. Booking with My Baggage makes your journey to university in Wales hassle-free. Once you’ve booked, you’ll be given access to full online tracking to allow you to monitor the step-by-step process of your shipment whilst its in transit to its destination in Wales. The tracking information will update to let you know when your shipment is out for delivery – so you’ll know exactly when to expect it. You’ll also receive handy text and email notifications to keep you updated. For that extra peace of mind, if you happen to have any questions or concerns along the way, we have a dedicated customer support team who can help via phone, email and live chat. Don’t hesitate to contact us with any queries you might have. When it comes to shipping your personal belongings, speed is unquestionably a top priority. No student wants to be left waiting for their luggage to arrive. Thankfully, My Baggage offers super fast shipping times on all routes. With 1-2 day delivery within the UK and 3-4 days for international shipments. We even offer an Express service both domestically and internationally – so you won’t have to wait long for your items to arrive with you safe and sound. When getting a quote, we will show you the estimated delivery time for your shipment. My Baggage offers £100 free compensation cover on every single shipment. If you need to, you can increase this value right up to £1,000 for a small additional fee during the booking process. As many of our team are recent graduates, we at My Baggage understand all too well that being a student can be a particularly expensive time in your life, and so every penny counts. That’s why we do all that we can to ensure that our prices suit a student budget. For as little as £16.99, you can send a box or suitcase weighing up to 30kg. We also have a handy ‘Price Match‘ tool – so if you happen to find a cheaper price elsewhere, simply let us know and we’ll try our best to beat it. See how much you could save on your luggage shipment to Wales by getting a quote today!